United Airlines announced 31 new and returning international summer routes Tuesday. The carrier revealed brand new service between New York/Newark and Prague, as well as the only nonstop service between the United States and Naples, Italy. The expanded international schedule connects 54 countries to hubs in the United States. 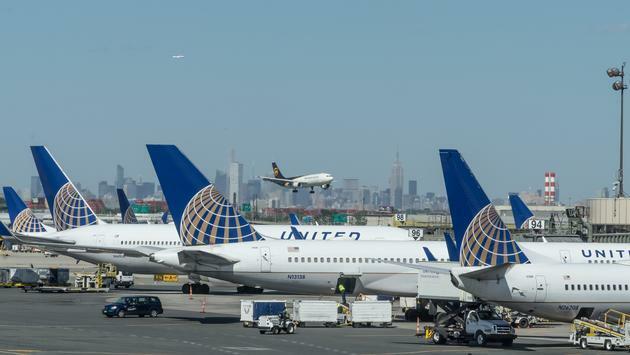 United launched its summer schedule on March 30 with the start of nonstop service between San Francisco and Amsterdam, becoming the only airline in the U.S. airline to connect the Bay Area and the Netherlands. Starting May 2, the carrier will launch daily nonstop service between Denver and Frankfurt, Germany, making it the only nonstop flight operated by a U.S. airline. Last year, United was also the first to offer a nonstop route between San Francisco and Papeete, Tahiti, which it has also expanded into year-round service. In addition, United will be the only airline to operate service between Washington Dulles and Tel Aviv, Israel, as well as between New York and Naples, beginning this May. The airline’s summer schedule also features the return of popular destinations including Athens, Greece; Glasgow, Scotland; Madrid and Barcelona, Spain; Rome and Venice, Italy; Shannon, Ireland; and more. United is resuming summer routes to destinations in the Caribbean, including nonstop service between New York/Newark to Bermuda and between Houston and St. Thomas in the U.S. Virgin Islands and Providenciales, Turks & Caicos. Beginning in June, the carrier will also offer seasonal service between Cancun and New Orleans, San Antonio and Austin.